On December 13 and 14, the UAE will host one of its most prestigious social and sporting events, as four teams, composed of local and international players, compete over two days in the ninth edition of the Beach Polo Cup Dubai. This year’s event will once again be held in the purpose built arena at Dubai Harbour, formerly known as Skydive Dubai. 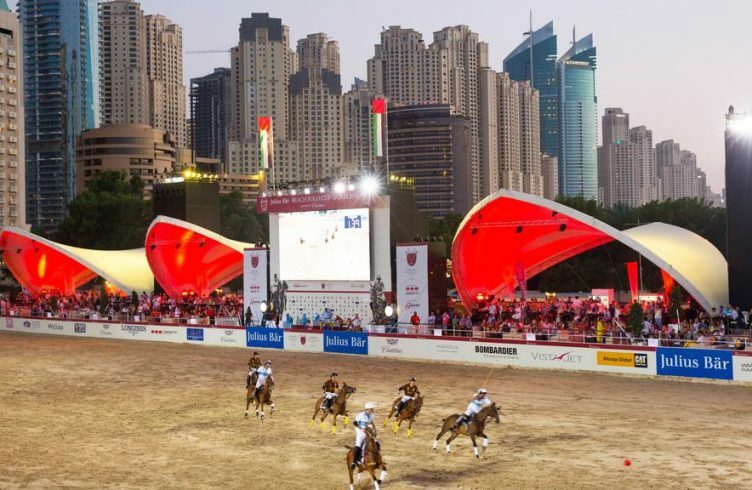 Held under the Patronage of HH Sheikh Hamdan Bin Mohammed Bin Rashid Al Maktoum, Crown Prince of Dubai and Chairman of Dubai Sports Council, for the fourth consecutive year, Beach Polo Cup Dubai has formed part of the region’s prestigious sporting calendar for over a decade. It has seen immense growth over this time; not only was the date set for the month of December, giving the season a spectacular closing ceremony, but the the venue was transformed. This year, the BPCD presents a new title sponsor, Tonino Lamborghini Residences, as well as a new presenting sponsor, Oriental Pearls, a reknown real estate developer. For the first time this year, entrance to the Shams Zone will be free of charge, offering food and premium beverages during the polo matches. Furthermore, tickets to the VIP Majlis Zone will be available to purchase closer to the event, and will include F&B and premium beverages. Ticket details and further information regarding the Tonino Lamborghini Residences Beach Polo Cup Dubai, presented by Oriental Pearls, is available at visit Beach Polo Cup Dubai. Team: Each team will be formed of three players; changes are allowed. Handicap rules: The handicap range spans from 6-8 goals; matches will be four chukkas long, and played according to HPA (Hurlingham Polo Association) Arena rules 2012/13. After two qualification games on the first day of polo, the two teams with the highest point score will qualify for the final. The third and fourth teams will play a subsidiary final.